The race to fill the seat vacated by Health and Human Services Secretary Tom Price became the most expensive House race ever, with total spending topping $50 million. 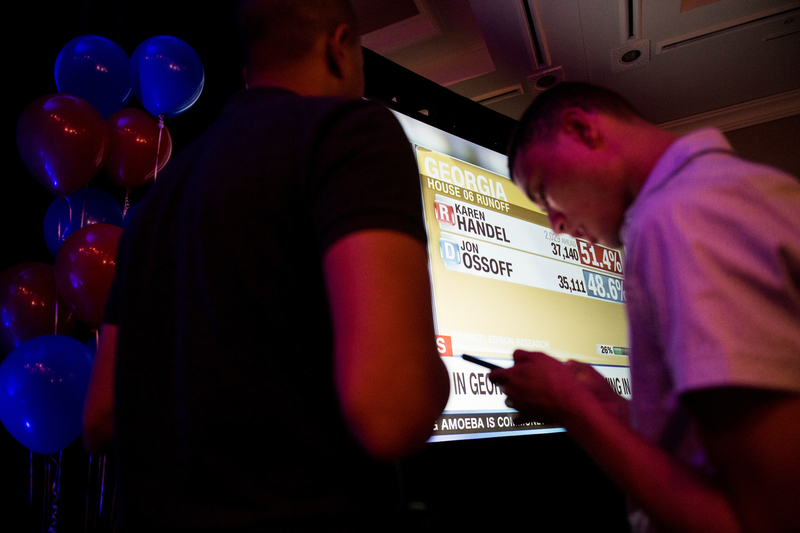 The race captured the national spotlight in a way congressional elections rarely do. President Donald Trump’s narrow victory here (he won the district by less than 2 points last fall) galvanized Democrats looking to send a message to the White House and a Republican Congress. The defeat on Tuesday is a symbolic blow to the Democrats’ momentum heading into 2018, when they’re looking to pick up 24 seats to retake the House. Many of those districts share similar suburban elements with Georgia’s 6th District. But Handel’s margin is well short of recent GOP margins in this district. Price won re-election last fall by 23 points. The narrowing of the gap is reflective of the narrower congressional margins for Republicans seen earlier this year in Kansas and Montana — and elsewhere Tuesday night, in South Carolina. Ossoff’s team built an extensive operation, with a much more robust field operation than Handel’s. The 30-year-old first-time candidate raised about $24 million for this race, much of it from outside the district and the state. The liberal base rallied around him, with groups such as End Citizens United and the liberal blog Daily Kos, helping him pull in small-dollar contributions. But Republicans turned that outside fundraising into a central line of attack against him in their efforts to paint Ossoff as out of touch and too liberal for the district. They also accused him of inflating his national security credentials as a onetime staffer on Capitol Hill. While Handel raised and spent much less money, she benefited from heavy spending from outside groups. The Congressional Leadership Fund, the super PAC backed by House leadership, was the first outside group on the ground here. It ended up spending $7 million through the primary and the runoff. Part of that investment was a significant ground operation to make up for what the Handel campaign wasn’t able to deliver with fewer bodies and less enthusiasm than the Ossoff team. The group knocked on 300,000 doors since the April primary. Handel, the former Georgia secretary of state, previously ran unsuccessfully for governor in 2010 and for the Senate in 2014. 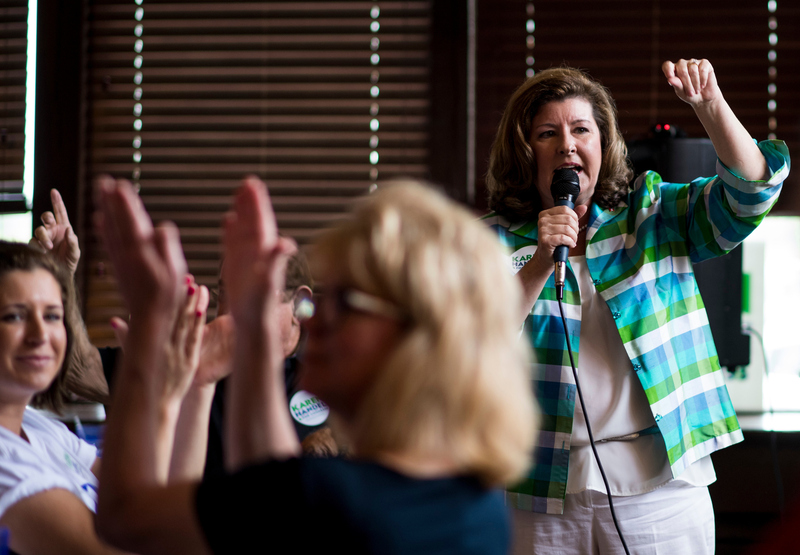 She came in second behind Ossoff in April’s jungle primary, besting 11 other Republicans. She was the GOP candidate who distanced herself from Trump the most during the primary, but after winning the GOP nod, she faced a difficult balance. Trump held a fundraiser for her (outside the district), but given his unpopularity in her district, she couldn’t fully embrace the president either. Looking ahead to 2018, this race is expected to be competitive again. But unlike this year, it won’t be the only competitive race on the map attracting all the money and attention. “It will be considered competitive because of how poorly Trump did and how well-educated the district is,” a GOP aide said Tuesday before the race was called. “She will have to pick some issues she disagrees with the president on going forward,” the aide added.